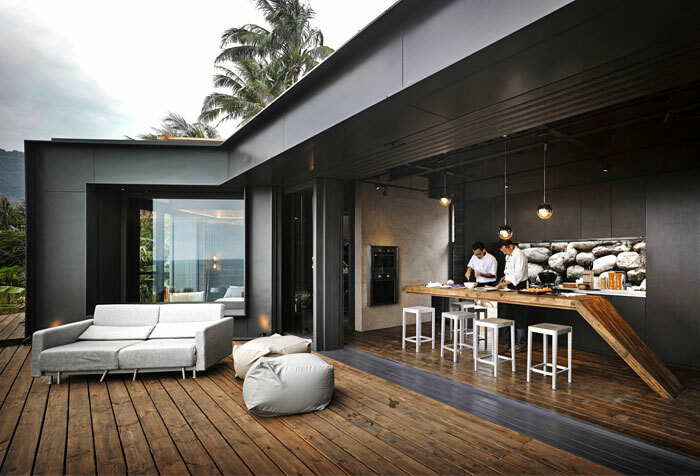 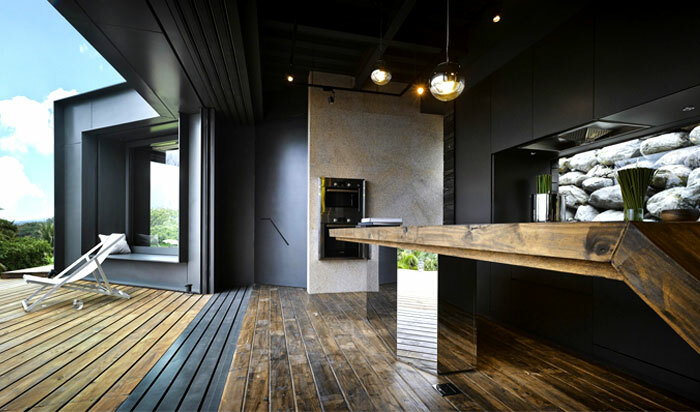 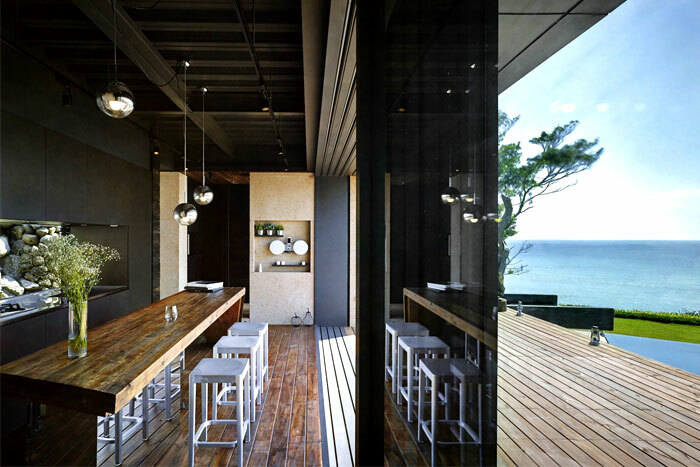 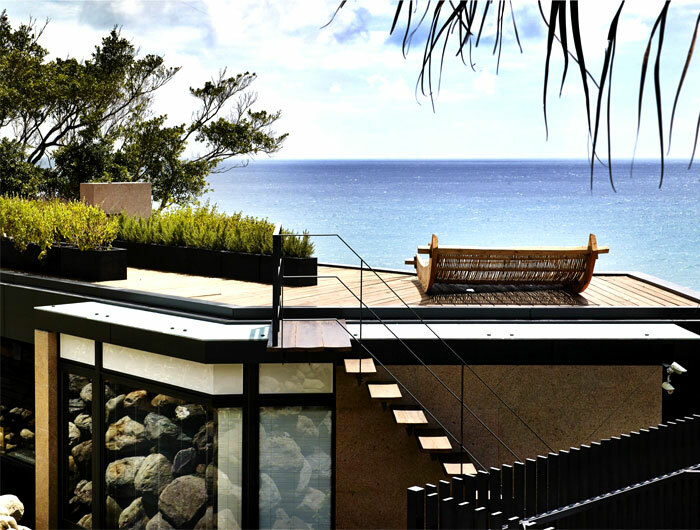 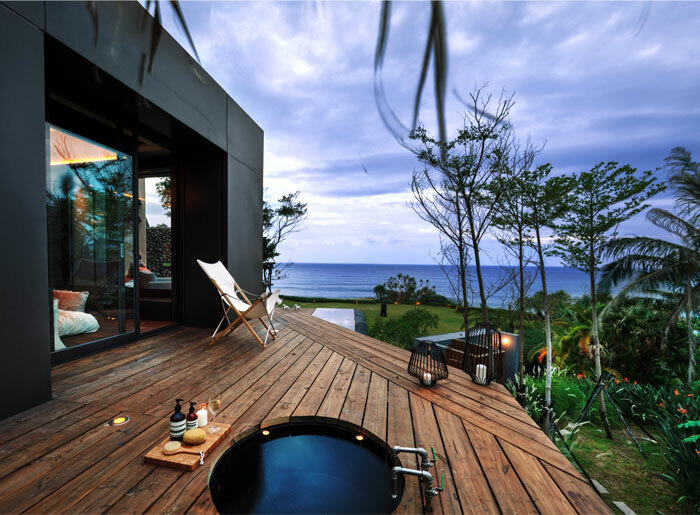 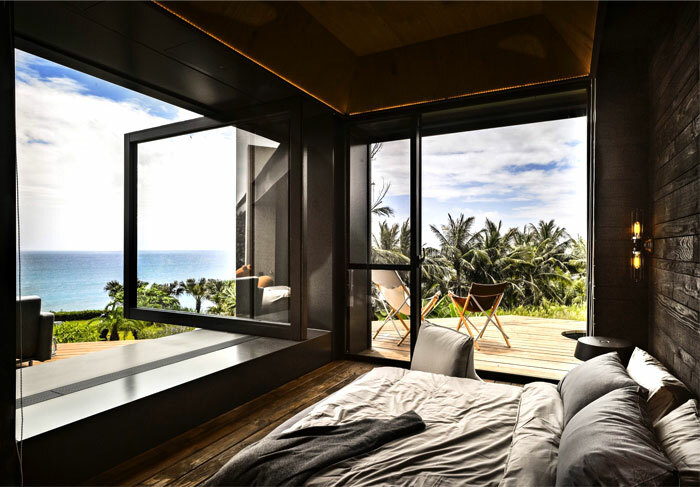 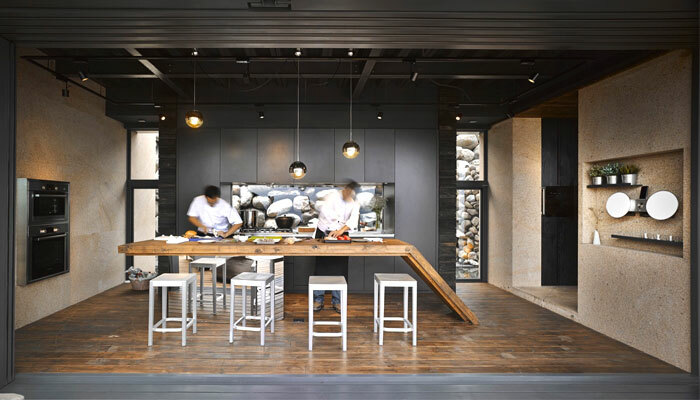 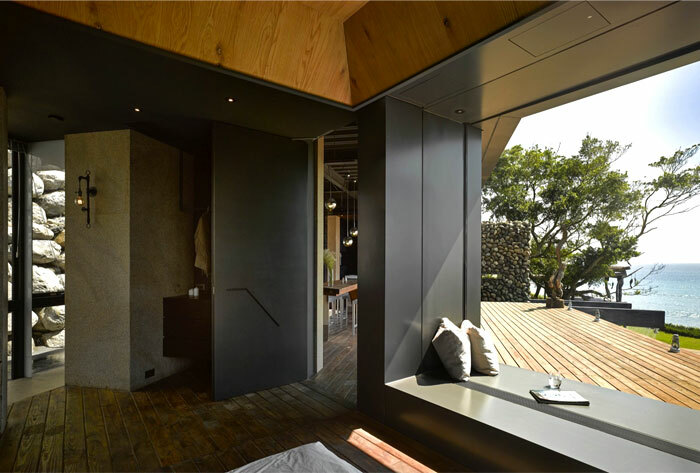 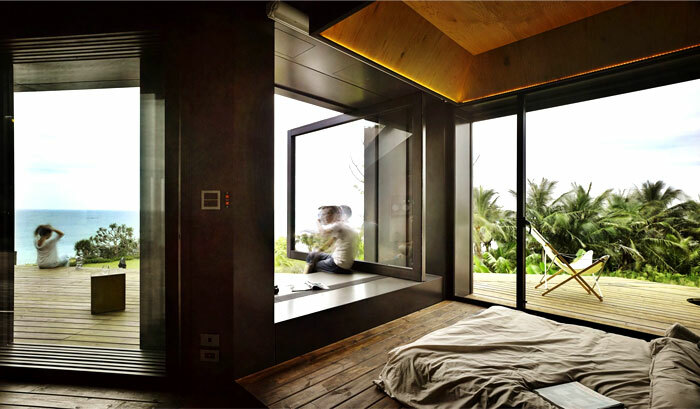 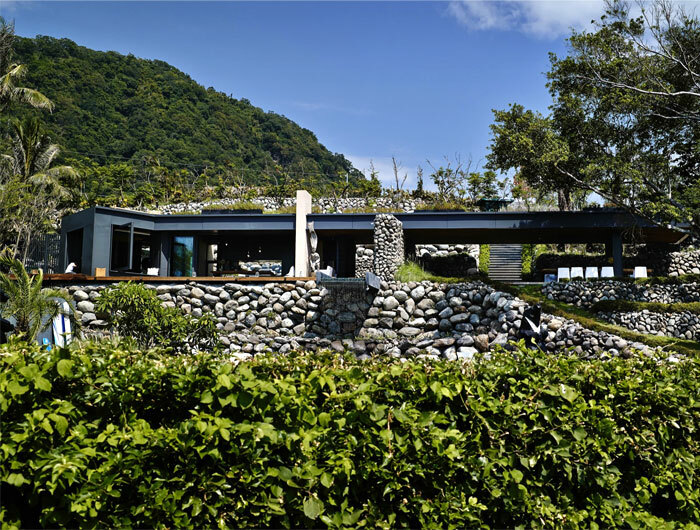 The majestic beauty of nature combined with local traditions, minimalist contemporary charm and unexpected solutions give this project of Create + Think Design Studio located on the Pacific shore of Taiwan inexplicable character and mesmerizing atmosphere. 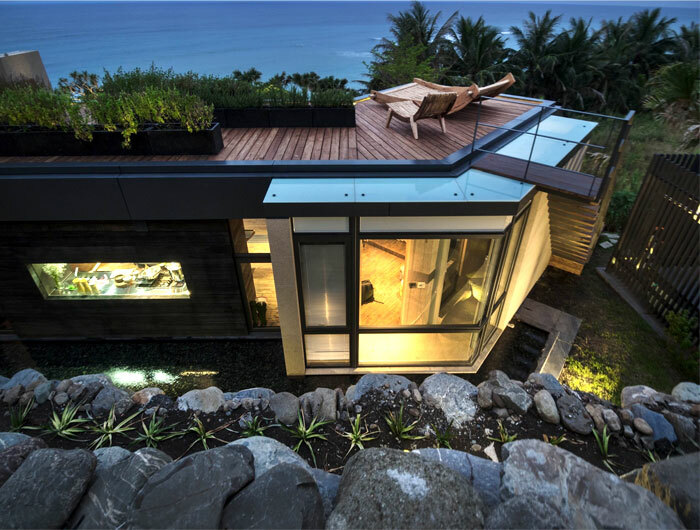 A’tolan House – the name translated from the indigenous language of the native means “a house made of rocks” and that it’s what it is – an open free float between interior and surrounding nature, essential minimum of sheltering spaces ( only sleeping quarters and food preparation place) bathtub under the stars, vast wooden deck to connect with Nature and solid stone constructs – an unusual place with unique spirit. 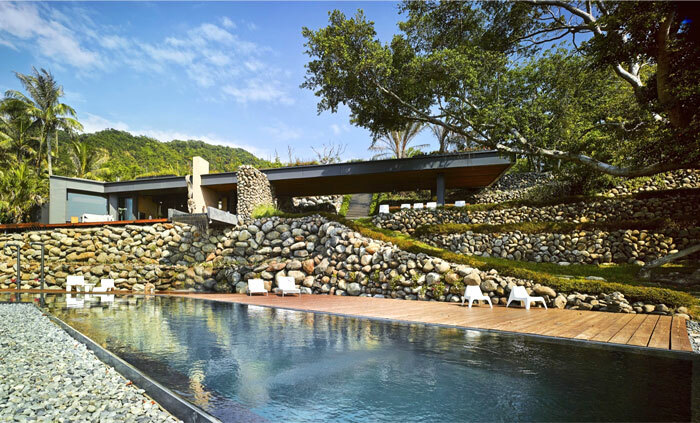 The architects aimed for minimal footprint structure, maximum symbiosis not only with the surrounding landscape but also with the local traditions and spirit. 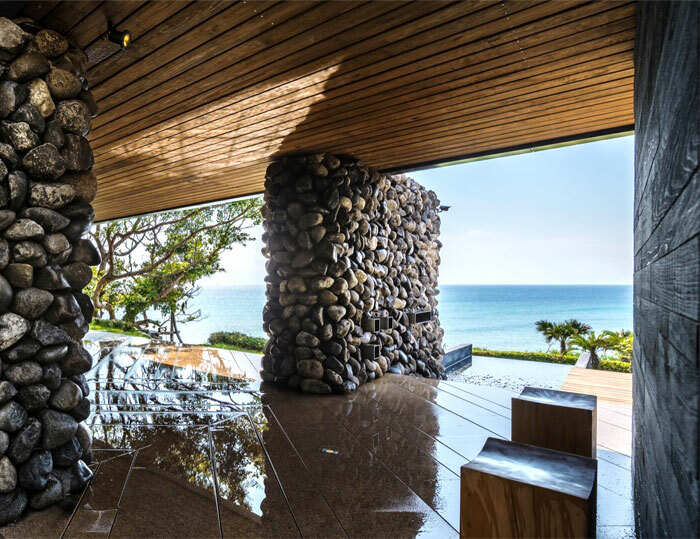 Using the stones excavated from the site and the traditional native technique of A’tolan, the project comes alive as a free flowing structure combining the solid stoicism of the rock wall and the dynamic character of the sea. 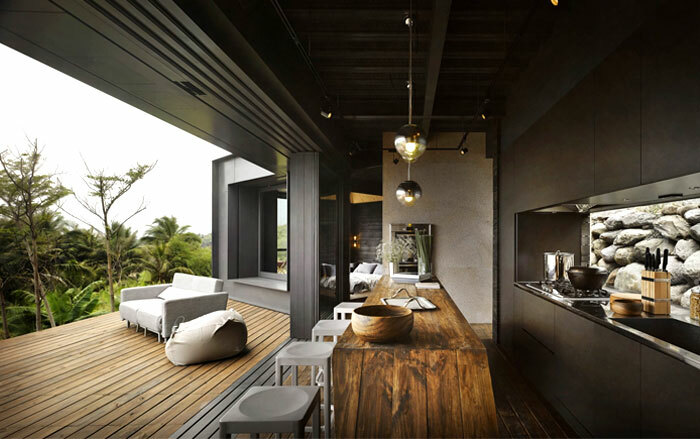 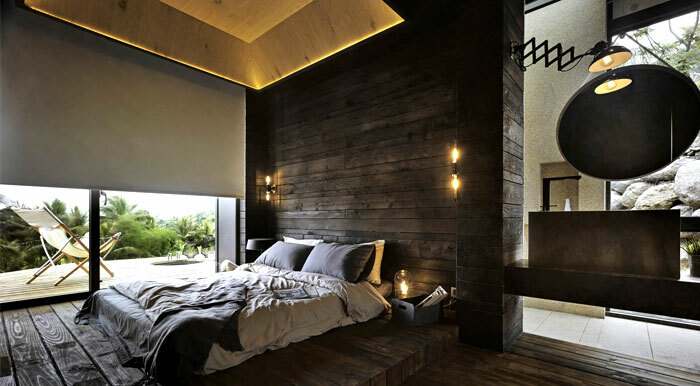 The wooden cladding and furniture don’t contradict the organic nature of the house – it adds warm atmosphere supplemented by the glass partitions and the rich textures used throughout the home. 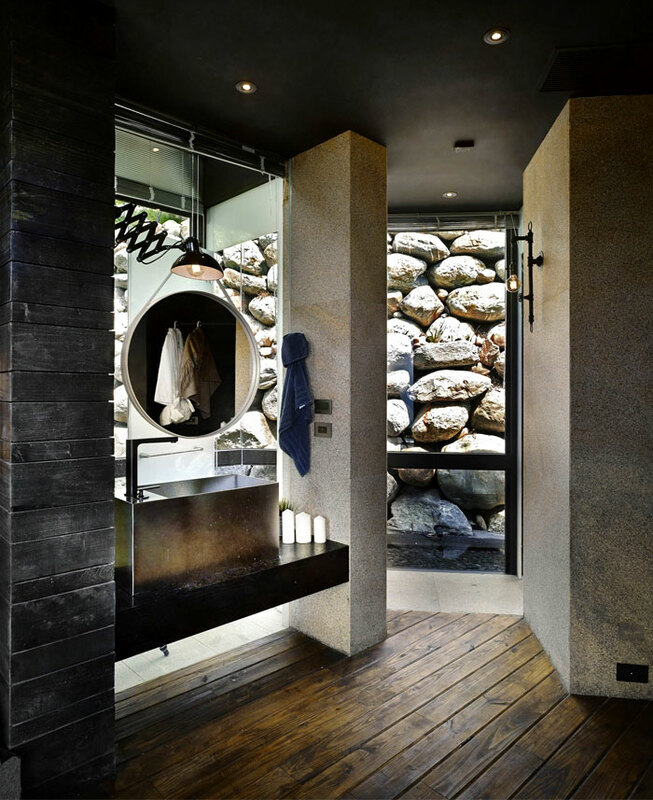 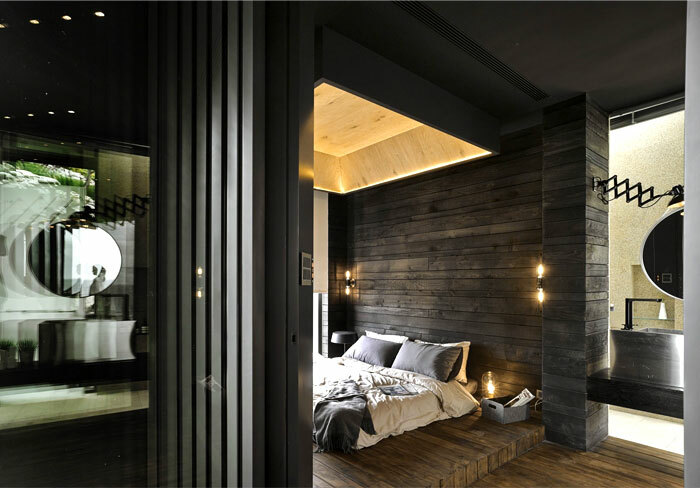 The darack color palette imposed by the graphite metal framing of the architectural construct and the dark texture of the extensive wooden fittings is freshened up by the light stone walls and the white textiles. 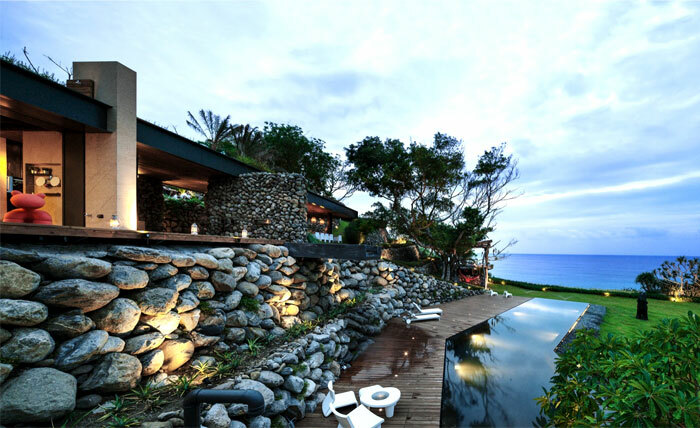 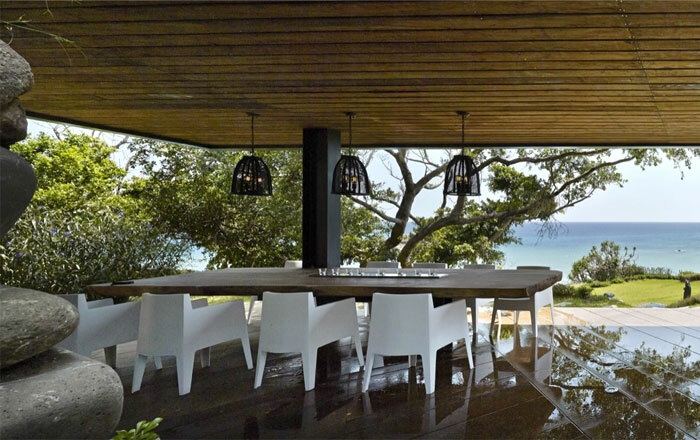 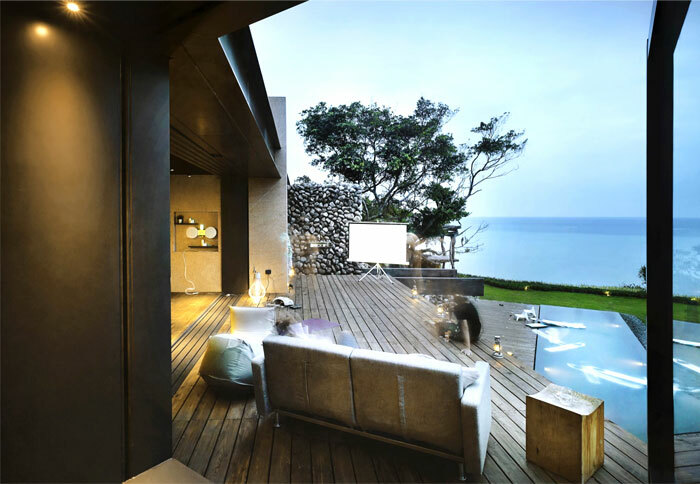 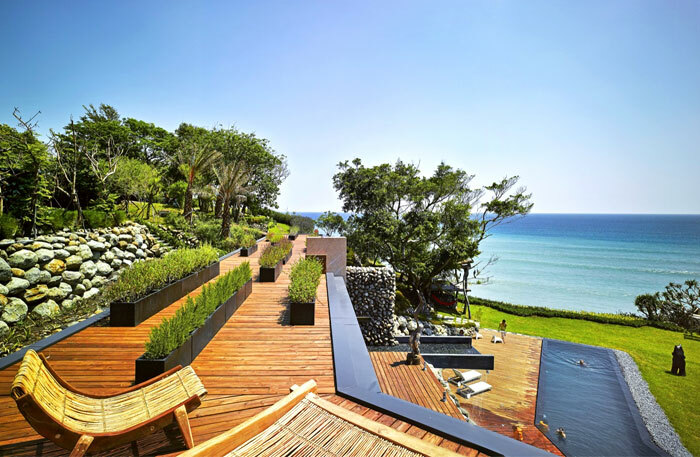 The unique light presence of this project is harmoniously corresponding with its paradise location- a true place for enjoyment.